At Resistance Dynamics we believe healthier lives are realized when activity is added every day in a simple and convenient way. We produce revolutionary training tools that make complicated resistance exercise simple for rehabilitation professionals to prescribe and easy for clients to do in-clinic, at home or the office. The revolution begins with our patented MDX™ Technology (Multi-Directional resistance eXercise). It makes elastic resistance exercise a simple part of people’s lives to help improve physical function and health with ease. Where is the fitness equipment that makes it simple for people to move and feel better under these circumstances? This is where we come in. Our mission is to produce products that make exercise simple to help improve physical function and health but do not require the discipline of a Navy Seal or Olympic Athlete. Too many people have been left on the sidelines for too long. Exercise is the most powerful medicine yet few companies provide realistic and achievable solutions to engage the disengaged. Our products provide simple rehabilitation and fitness solutions so more people can experience better health, regardless of age, ability or fitness level. Quite simply, we are looking forward to helping our customers move more, look and feel better, without the sweat. We value our relationships, good health, and working hard with integrity. We are dedicated to serving our customers’ rehabilitation and fitness needs to live better. Help rehabilitation professionals’ help their patients move more and feel better. Empower aging individuals to improve and maintain function, health and independence. Enable the disabled and those with mobility challenges. Transform sedentary workplaces into active work spaces. Our revolutionary therapeutic devices can help build balanced strength, joint stability, flexibility and mobility, without the sweat. We are committed to providing simple fitness solutions so our customers can move, live and feel better. Cate’s passion has always been good health and igniting it in others. 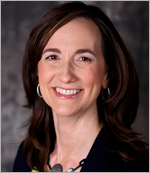 As a Registered Dietitian with a Masters Degree in Nutrition and Physical Fitness, Cate has been teaching, writing and prescribing healthful eating and exercise programs for over 25 years. 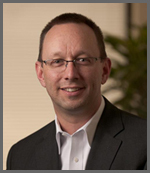 Joe is a versatile senior-level executive with finance and operations management experience in the telecom, marketing, finance, banking, mining, manufacturing, software and automotive sectors. Allen is the former President and CEO of Nine One One Inc. which provided turn-key 911 systems to call centers around the country including Quantico, the home of the FBI and the U.S. Marine Corps. 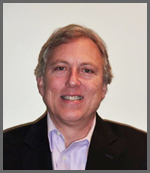 Larry Schwartz has been providing legal advice to corporate and business clients for nearly 30 years. After graduating from Harvard Law School in 1983, he joined the Denver-based law firm of Holme Roberts & Owen, practicing in the firms business and real estate department. He was named a partner in the firm in 1991. 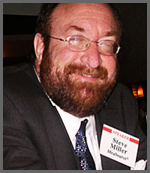 Steve Miller brings more than 30 years of creative marketing experience to clients across the country. After years on both the agency and the client sides of marketing, Steve has created a niche that combines aspects of both disciplines to best serve the needs of his clients. The constant in Zoe’s life has been her pursuit of health and fitness. From her roots in the Rocky Mountains, Zoe started her career as a stunt woman in Hollywood, California. 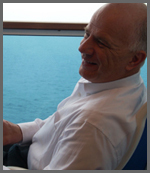 Dr. Raymond Browning received his Ph.D. in Integrative Physiology from the University of Colorado, Boulder, CO in 2005. 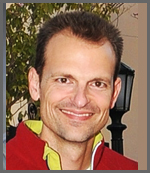 Currently he is an Assistant Professor in the department of Health and Exercise Science, Colorado State University, Fort Collins, CO and the director of the Physical Activity Energetics/Mechanics laboratory. 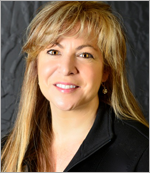 Maryann is driven by excellence in her professional and personal life. 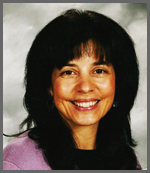 Her educational experience prepared her for growth throughout her career and includes a Bachelor of Art degree in Athletic Training/Health & Physical Education, plus a Master of Science in Physical Therapy from the University of Miami, School of Medicine. 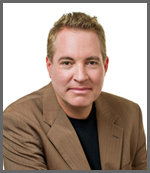 Dr. Scott Monk is an author, speaker and practitioner of alternative medicine. He is trained in a wide range of health care techniques such as Chiropractic, Acupuncture, Applied Kinesiology and is the founder of Functional Bio-Analysis, a healing technique that combines the best of acupuncture with manual and nutritional therapy. Dave is an Associate Professor of Industrial Design at Metro State University of Denver, where a high value is placed on connections with the community. His classes and professional experience emphasize the design development process, industrial manufacturing and materials, and the history and social impact of technology and design. Wellness is a way of life. Our health and well-being is created by our lifestyle and the daily choices we make. It involves the interaction of body, mind and spirit. You can’t isolate the physical from the mental from the spiritual bodies as they are all connected and impact who we are and how we feel. The environment we live in, what we eat and how we move and think all has an impact on our health and well-being. Wellness is an individual process. Each one of us is personally responsible for the choices we make when it comes to food, exercise, and managing stress. While we are all in different places with respect to our choices and health, there is a simple strategy we can all employ to improve our well-being. It is to focus on changing ONE choice at a time! Wellness is about choosing to feel better. The key is to focus on how you feel each time you make a conscious choice. Let’s say you choose to eat vegetables at each meal, how does it make you feel? If you decide to relieve stress by breathing deeply for 5 cycles, how does it make you feel? When you are active throughout your day, how do you feel? When your food, exercise or “stress less” choice makes you feel better, you will sustain that change. This is when healthy choices become automatic. Wellness grows when you take action. No matter what your current state of health, injured or ill, young or growing older, mobile or mobility challenged, each of us can take an active role in making better choices. Wellness is not a linear process so it helps to keep a journal. This empowers you to recognize and celebrate the progressive changes you are making. Wellness starts with moving more. It’s the simplest thing you can do to feel better physically and mentally. Science shows and you know that your body and mind work better when you are active versus sedentary. Exercise activity is a natural stress reliever as well. These “good vibrations” have a ripple effect on making better lifestyle choices. We support wellness with products that make complicated resistance exercise simple to help prevent or treat an injury or illness. Our products can help you integrate exercise activity right into your day for better functioning, healthy aging and well-being.